The Alabama Mandatory Liability Insurance Law was enacted in 2013 to set forth the Alabama car insurance rules for all drivers. This law requires all drivers to purchase car insurance for their registered vehicles. Continue reading this article to get more insights on Alabama car insurance laws, programs, requirements, rates and discounts. Medical and funeral cover – This will cover medical costs and funeral expenses. NOTE: If you intend to purchase your car through a loan or lease agreement, both comprehensive and collision car insurance are needed. They are only optional with regard to the state’s car insurance laws. 4 months car registration suspension for first offenders. $400 for your subsequent offenses. If your car driver’s license is reinstated after a period of suspension, Alabama car insurance law requires you to always carry SR22 certificate. This form acts as a proof of assurance that you will maintain the minimum requirements for Alabama car insurance. 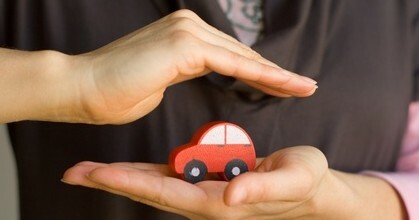 Car insurance companies have the right to deny insurance coverage for high risk drivers. So, if you are considered a high risk driver, you can apply for insurance coverage through Alabama Auto Insurance Plan (ALAIP). Through this plan, Alabama car insurance companies share the risk associated with high-risk drivers. To get started, you can apply for coverage to the Alabama Auto Insurance Plan through any local car insurance agent in Alabama. Discounts for homeowner’s or people with parking space. Discounts can be a good way of getting cheap insurance rates, the best way is through keeping a clean driving history.